Finding the right fit can seem like mission impossible with all the factors that go into it—waist size, inseam, sleeve length—the list goes on. Then, there’s the shopping part. However, there’s nothing better than nailing the perfect fit. 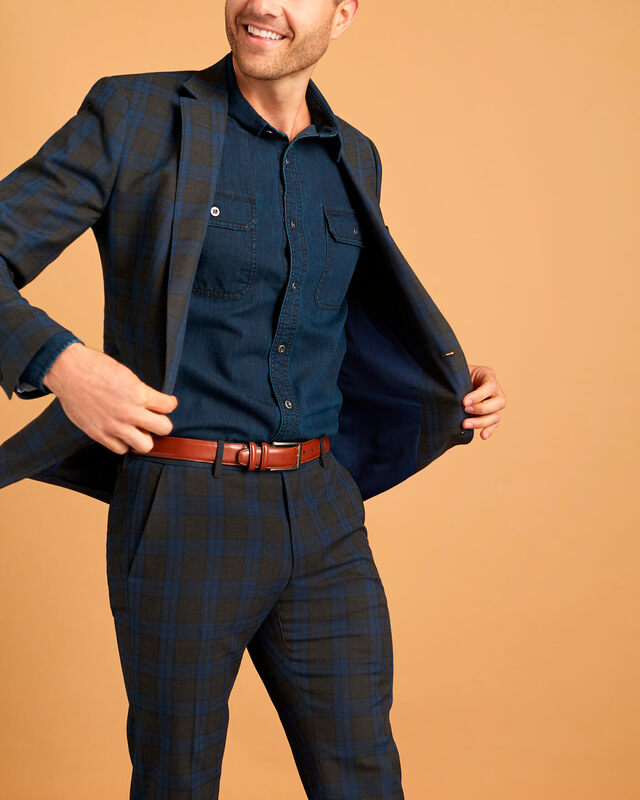 When your jeans, shirts, pants, jackets fit correctly, you don’t just look great (and like you know what you’re doing), you’re also comfortable. Here’s how to make it happen every time—step by step. It’s imperative that your suit fits you correctly. Avoid buying one that’s too big or too tight by trying on different sizes. 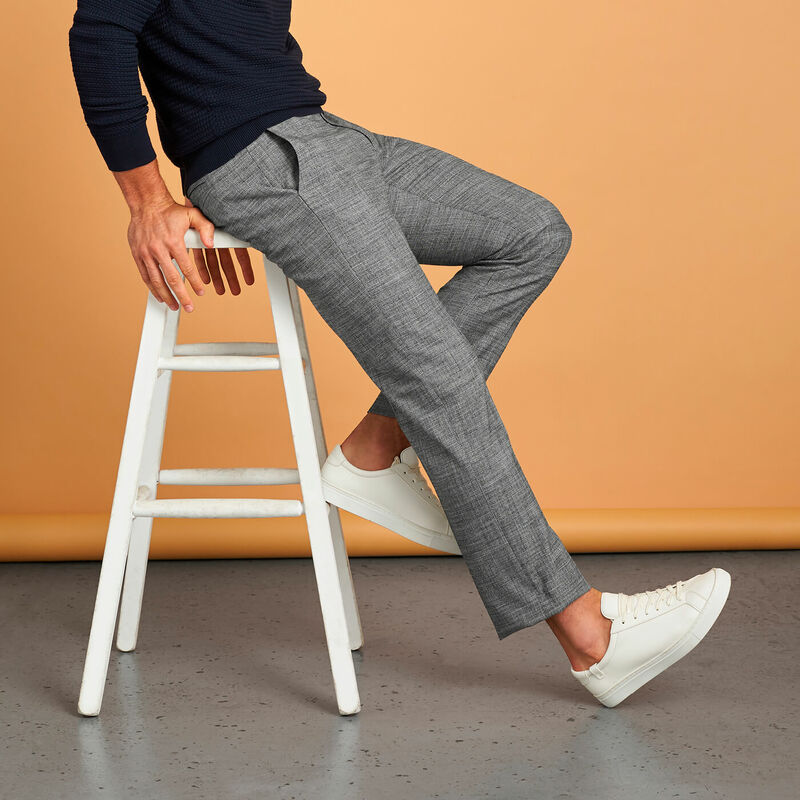 Make sure your shoulder seam hits right at the outside of your shoulder, the lapels are flat across your chest and your pants are tapered and barely skimming the top of your shoes. Remember, nothing should look or feel frumpy. Try on the blazer, and if you can move pretty easily, try sizing down and repeat until you hit one that’s too small, then go back up one size and that should be your perfect fit. Your shoulders and the shoulder seams should line up as exact as possible. If your lapels pop out when you button it, the blazer is too tight—try a different size. For length, your fingers should be able to touch the blazer’s hem when your arms are straight down by your side and relaxed. You want your sleeves short enough so your shirt cuffs show (about half an inch) and slim enough that they follow the width of your arms. This is where a tailor might need to come in, but think of it as an investment that will pay itself off when you finally have the best-fitting blazer of all time. First and foremost, there should be no billowing of excess fabric anywhere. The sleeves and the body of the shirt should be cut the same; if it’s slim, it should be slim all over. Follow the same rules as the blazer and line up your shoulders to the shoulder seams. The right length will allow you to raise your arms without showing skin, but won’t bunch up when you tuck in your shirt. You don’t have to go for the skinniest pair if that’s not your thing, but going too big (which happens more often than not) isn’t the answer. Your pants should fit around your waist without a belt. If you can grab a significant amount of fabric in the leg of your pants, they’re too wide. 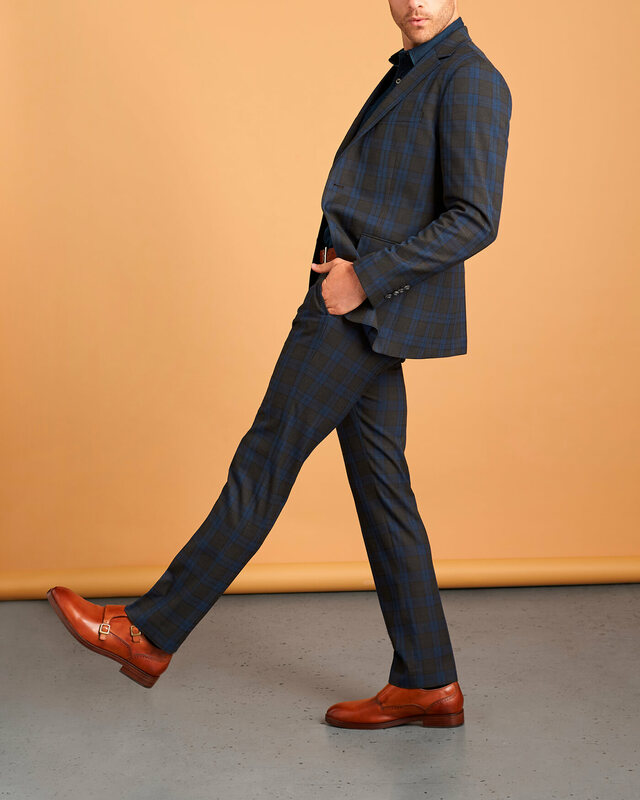 A nice tapered leg will look cleaner and fit your body better, whatever your size, and the hem should either be just above your shoes or grazing the top of them. It may be hard to believe, but your shoes can make or break your look. This is when opting for a quality pair will make all the difference comfort, looks and longevity wise. Build up a collection of classics (oxfords, brogues or monk straps)—they’re timeless, tasteful and top-notch. When you’re trying a pair on, make sure it’s as close to a perfect fit as possible. There should be no rubbing or tightness anywhere. Even with the inevitable bit of stretch and molding to your foot that will happen, they should, at most, be comfortably snug. Try them on in the afternoon, after you’ve been standing or walking around all day, and wear the socks you plan on wearing with them (hey, you might as well create the exact environment). This one seems simple, right? Oh, contraire, fit plays an equally essential role with this essential like everything else. Too long and you’re going for a swim, too short and you’re approaching dangerous midriff territory. 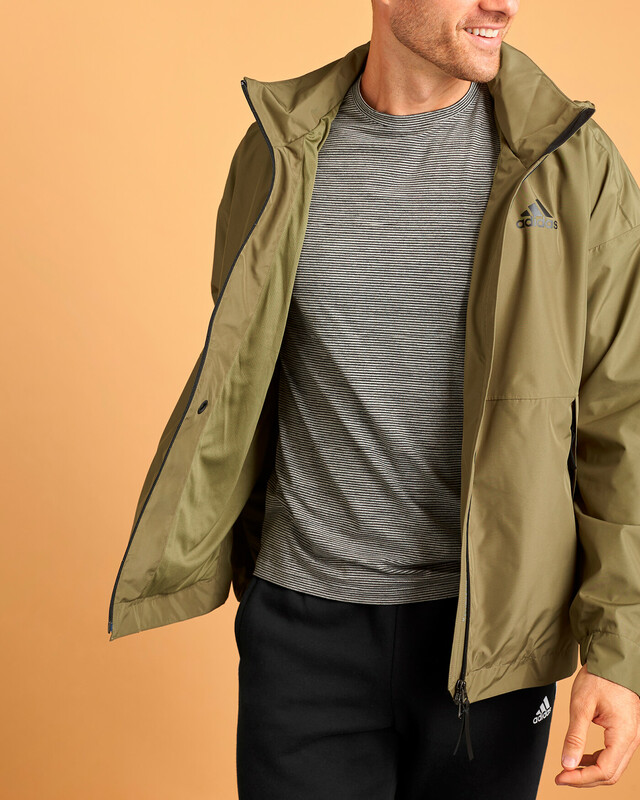 The arms on your t-shirt should be in between your shoulder and elbow and be on the slimmer side, the length should hit just below your belt and the width should leave room for the imagination without no billowing. With so many different options, you can get exactly what you want when it comes to wash and leg opening, as long as you have the right fit (starting to sound familiar?). First, figure out your waist size (your real waist size) by trying on a few different pairs if you’re not sure. You should be able to button your jeans without needing a belt or creating muffin top. Second, decide what type of fit in the legs you want. 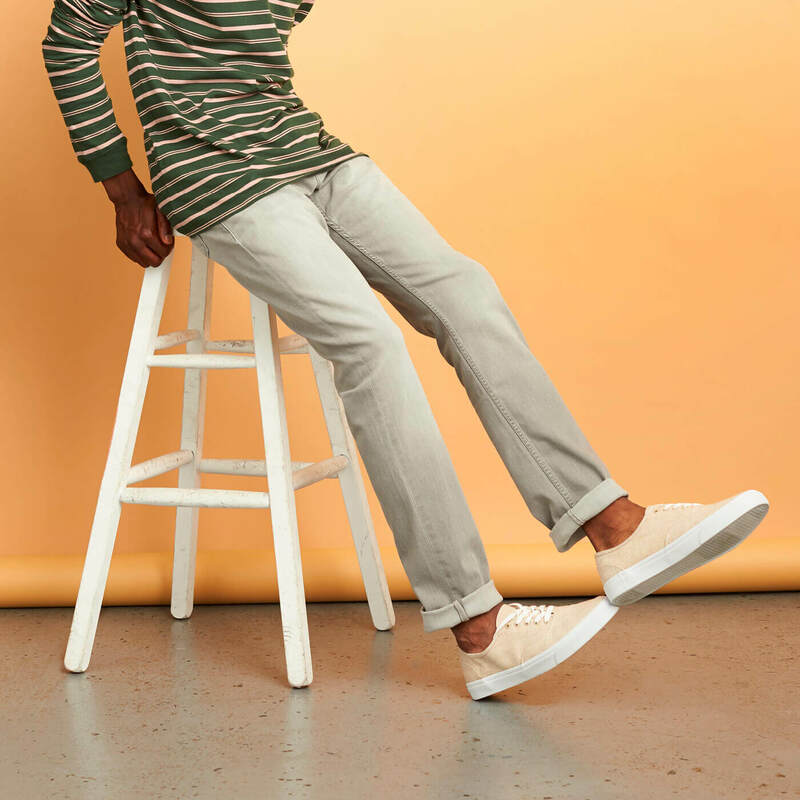 We recommend testing out a slim or tapered fit if you’re used to a baggier leg for a subtle change of pace. And last, your hem should graze the tops of your shoes. To cuff or not is up to you. So there you have it. 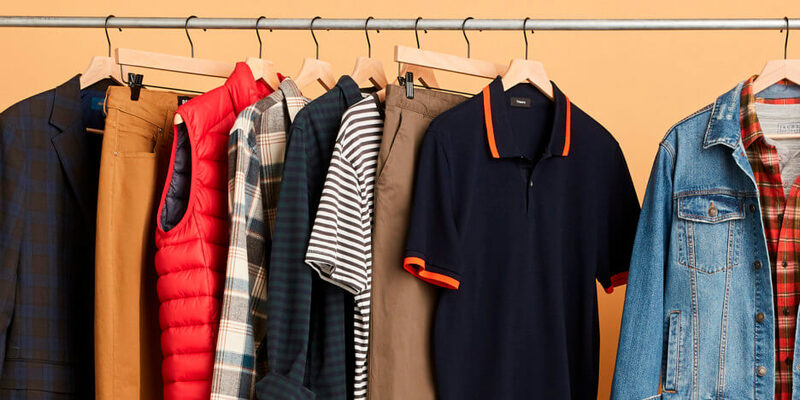 Fit isn’t an exact science but with a little experimentation, an excellent tailor and a knowledgeable Stylist, you’ll have a closet filled with clothes that fit you just right. Ready for clothes that fit? Schedule a Fix to get the ball rolling.